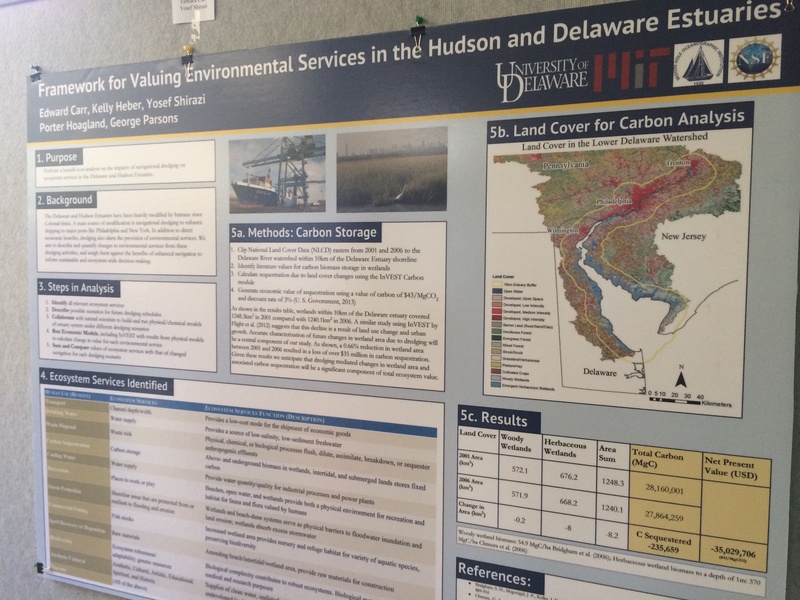 This poster features values for carbon sequestration ecosystem services in the Hudson and the Delaware estuary systems. They are calculated under different intensities of dredging. 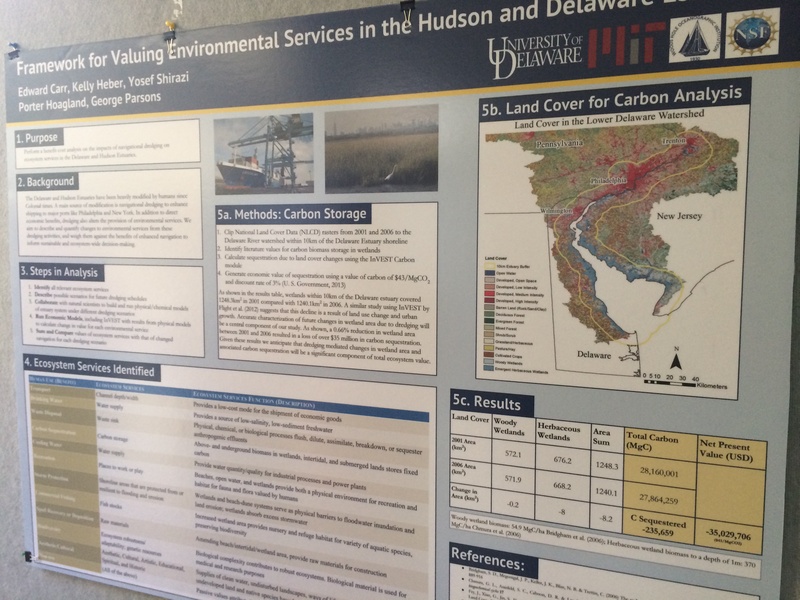 The research is an ongoing part the NSF-Funded Coastal SEES work on dredging in the Hudson and Delaware, and its impacts on ecosystem services. This entry was posted in Ecosystem Services, GIS and tagged Ecosystem Services, GIS, Hudson, MIT, modeling, NatCap, Natural Capital, Stanford, valuation, WHOI. Bookmark the permalink.